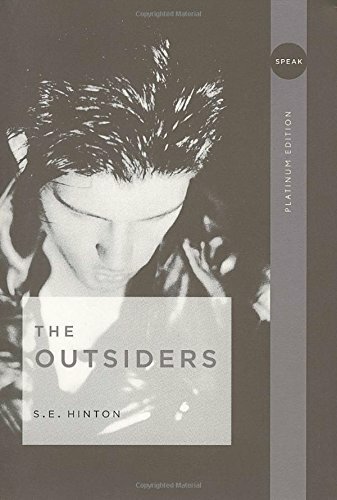 S. E. Hinton's The Outsiders. Amazing. Hard to believe this novel was written by a teen. What trumps all here is a sympathetic protagonist and a strong storyline. Hinton can get away with too much telling, and a little lack of logic to her prose only makes her first person narrator all the more authentic. But the story and the gravitas: culture wars, suffering, loss, humanizing the stereotyped “bad guy,” all make for an amazing book and at an amazing time in history.